Nerd Nite #59 – Hōkūleʻa Crew! Welcome to Nerd Nite Honolulu! « Nerd Nite #58 – Clouds – Animals – Life! 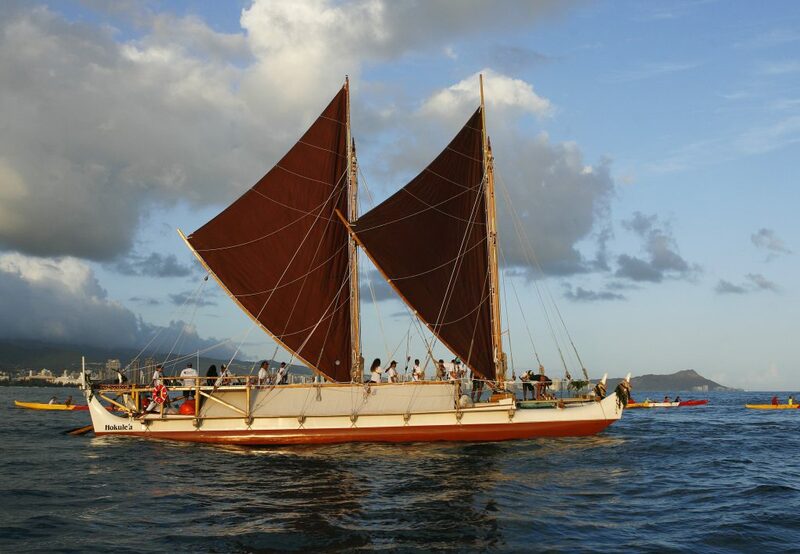 THE HŌKŪLEʻA CREW COMES TO NERD NITE HONOLULU! Panama Canal… to name a few. Heidi began as a volunteer at Hōkūleʻa’s dry dock in 2002 and began sailing soon after. should want to teach our children. Crewmember Heidi Guth at the stern as Hōkūleʻa sails into Salem. and simplicities of life at sea. Community College and UH Mānoa. Nerd Nite #66 Bishop Museum Takeover! Nerd Nite Honolulu – Hawaii Feast Fundraising Event! Copyright © 2009 Nerd Nite Honolulu. All Rights Reserved.